Fred Perry was born in Stockport, United Kingdom, being son of a cotton spinner. He also lived on Bolton and Wallasey, as his father was also involved in local politics. He started his career at table tennis, winning several medals in the single, double and team events in the World Table Tennis Championship of 1928 and 1929. His speed was remarkable and he played with what is called the Shakehand Style. Then he changed to lawn tennis, when an LTA committee chose him to join a four-man team to tour the United States in 1930. 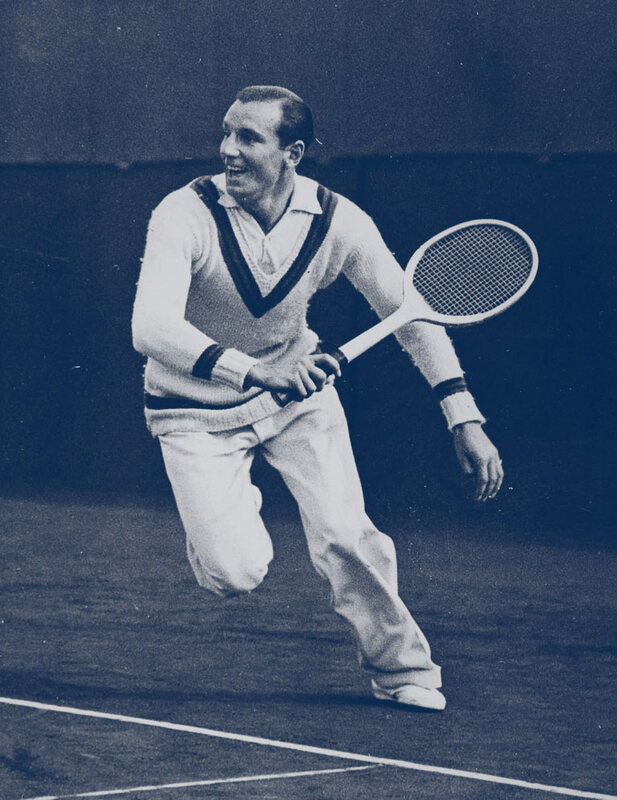 In 1932 Fred Perry switched to Slazenger rackets to use the in the matches. One year later, he won his first Grand Slam title in the US in 1933. 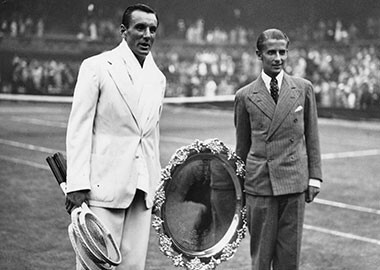 In 1934 the won the first of his three-in-a-row Wimbledon titles. That year he also won the Australian Championship and the US championship. In 1935 he also won the French Open, being the first one ever to complete a “Career Grand Slam”. He also won the US Championship in 1936 to a total of 8 Grand Slams. He was the last British to win a men’s singles Grand Slam until 2012, when Andy Murray won the US Open. He hold the same record on Wimbledon until a year later, when also Andy Murray won the tournament. He was also victorious on the Davids Cup, helping the Great Britain team to win in 1933 over France, first success since 1912. In 1934 and 1935 they won over United States and in 1936 over Australia, for a fourth consecutive wins on the tournament. After that, they had to wait until 2015 to win again. As you can see, Fred Perry with Slazenger rackets was the perfect combination to win all those titles. If you want to be like Fred Perry, wearing Slazenger Heritage Jumpers is the first step.